For the past 35 years the Zorloni family have infused the historic property with their own unique personality. Skip through the hotel and you’ll find incredible art, delightful designs, an award-winning food and wine program, serene spa, and suites fit for a King and Queen. Upon arrival guests are greeted by a sumptuously decorated grand hall. 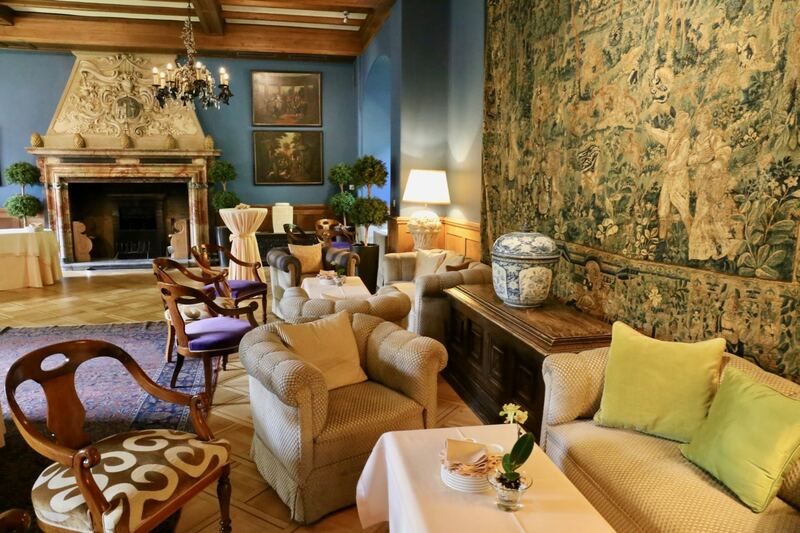 During my stay the space was often used in the evenings to host private champagne and canapés parties. 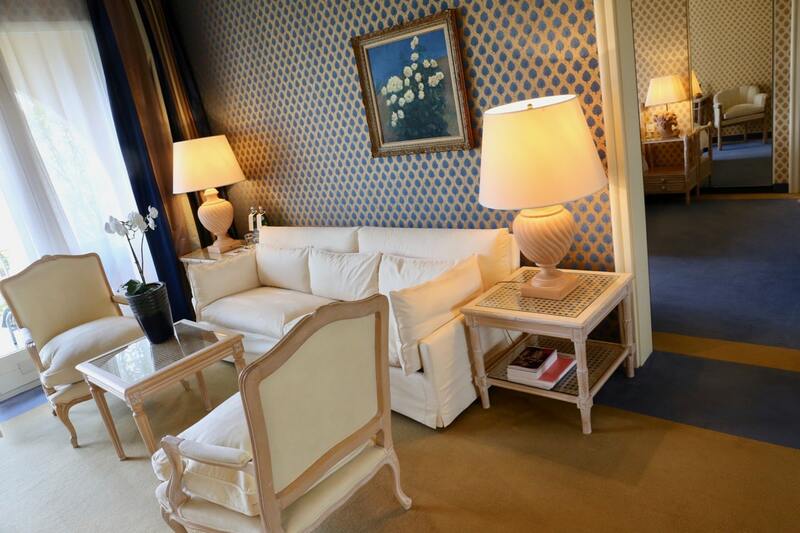 The hotel offers a marvellous menu of luxuriously appointed suites. In my posh pad I had two bathrooms (with bath amenities by Clarins), a plush King sized bed, spacious living room area featuring comfy couch, dining table, and work desk, as well as two balconies which offered jaw-dropping views over the lush garden and shimmering lake below. 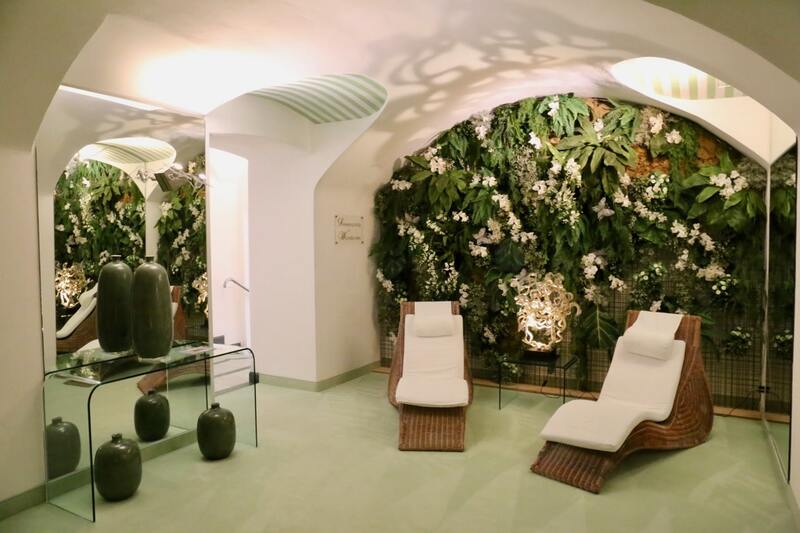 The hotel offers an excellent wellness program, featuring a petite indoor gym, clay tennis court surrounded by a tropical garden, Clarins Beauty Corner, Danilo Hairstyling Salon, and indoor heated pool with sauna and steam room. 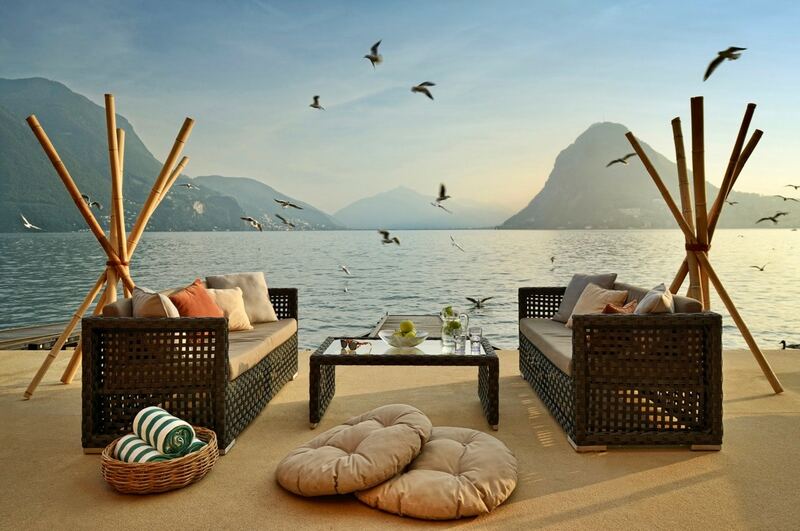 One of the hotel’s poshest pleasures is its private lakeside beach. 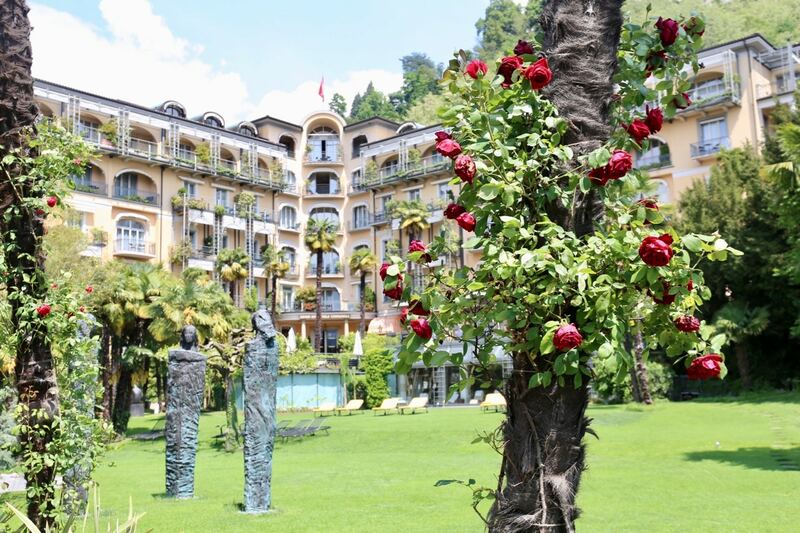 Located directly across the road and sitting perched over Lake Lugano, Grand Hotel Villa Castagnola makes enjoying the Riviera’s La Dolce Vita lifestyle easy as can be. On sunny days in the summer the intimate lakeside retreat fills to the brim with tan fans and water babies. 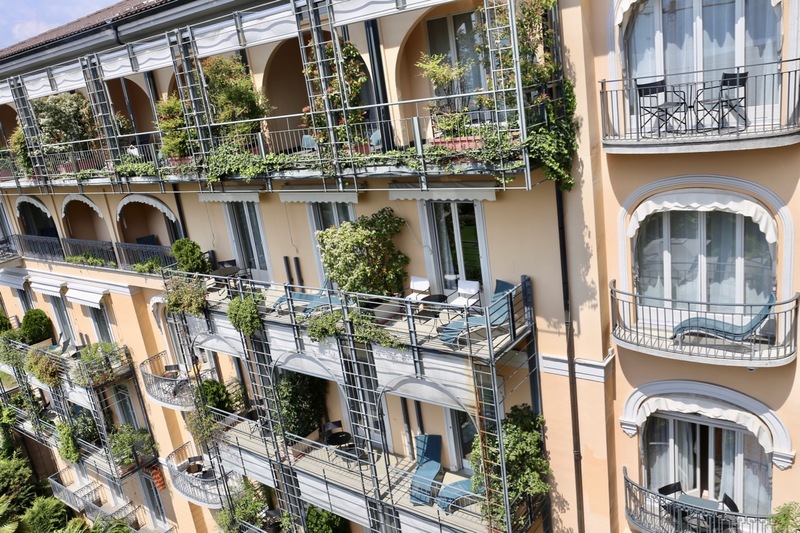 The space is outfitted with chic patio furniture, plush towels, and an Aperol Spritz is always but a short sip away. 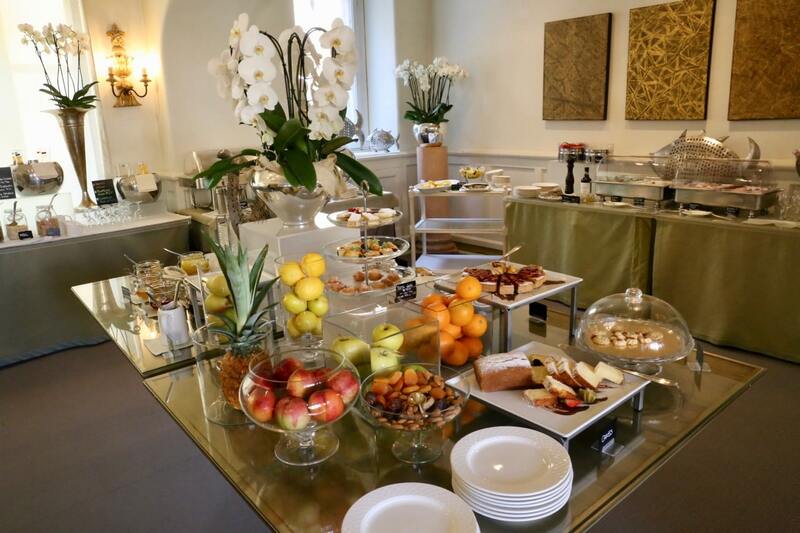 Each morning hungry guests gather on the hotel’s main floor for a lavish breakfast buffet. Wake up to the world while sipping a frothy cappuccino then pile up your plate with freshly baked croissants, yogurt, fresh fruit, charcuterie, cheese, tiny tarts, and brunch classics such as bacon, scrambled eggs, and waffles. 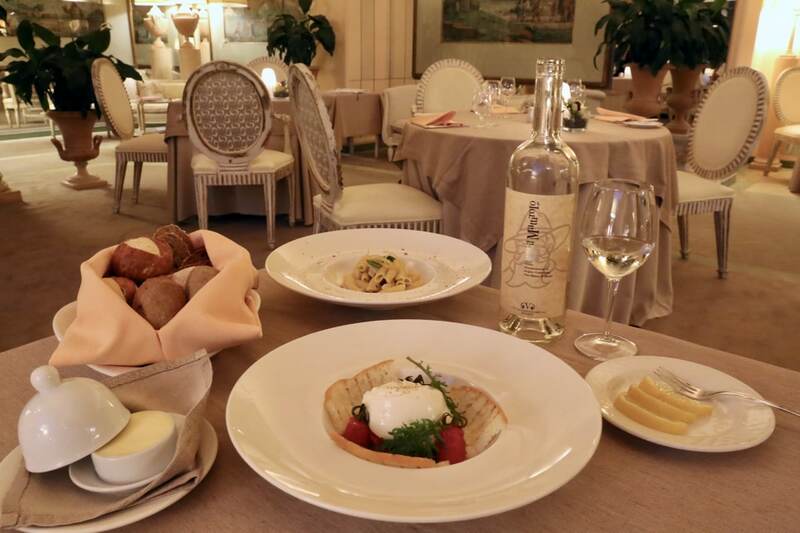 In the evening sit perched in the pink and peach coloured Le Relais dining room and enjoy a fine feast inspired by Swiss-Italian culinary sensibilities. The hotel’s fine dining restaurant celebrates the flavours of Ticino, featuring a stellar wine list which pairs perfectly with Chef Christian Bertogna’s culinary creations. Highlights include Andria burrata with aubergine and tomato fondue, Garganelli with swordfish, citrus peels and roasted pine nuts, and Bitter Chocolate Delice topped with crunchy hazelnut and cappuccino cream.